Everyone at the 2016 Futures Camp played well in some capacity which made the decisions to pick Top teams at the end of the camp a very difficult task for the coaches. Once chosen, those players still played with good intensity and did a nice job finishing the camp off on high notes, making plays on both ends of the court. Several players in attendance helped raised their stock with strong performances throughout the day and while maybe not as consistent as others throughout the day, did some things really well which caught the eyes of those watching the camp. Branden Ellis (Warren) really made a name for himself with some athletic and talented play. Quincy Anderson (Oshkosh North), JJ Flores (Harvest Christian) and others were able to make plays offensively and defensively that represented their journey to this point with their play and what potential still lies ahead. Read below for a full recap on those stock boosters from the camp this past Saturday. Anderson has some bounce to his game and it sure showed up Saturday. He had a play early on in the day where the opposing team was on the break and looked like they were going in for an easy score and Anderson came over, rose above the other player and swatted the ball out of bounds with authority. 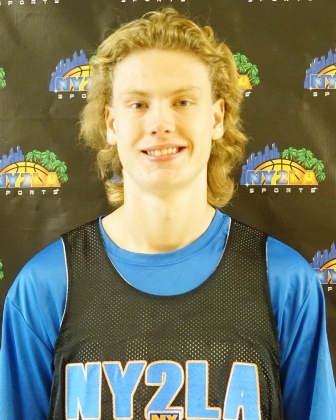 That raised some attention certainly, and he played solid the rest of the day with some good play offensively as well, knocking down a couple nice shots cleanly and finishing at the rim other times. 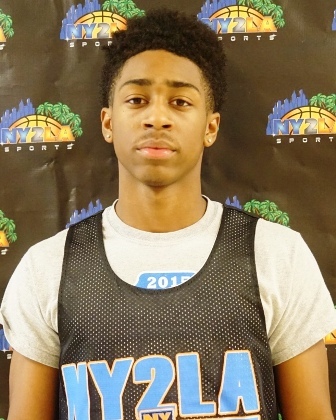 He has range on his jumper and is aggressive attacking the rim. Overall Anderson has made some really nice steps athletically and skill wise over the past few months and he looks primed for a big jump forward with continued development. Barber did an excellent job just being patient on Saturday and selecting when to find a shot or when to get the ball moving and let the offense happen. 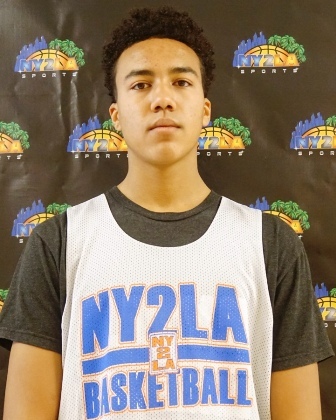 He displayed a smooth mid-range stroke and was outstanding on the boards much of the camp. When active and engaged he made plays consistently and in impressive fashion. Still raw in some areas, Barber’s best years lie ahead. He was solid in flashes at the camp. Ellis played with a lot of energy and excitement on Saturday at Futures, and in turn those watching had fun because he made some big time plays at times. On the break and in transition, Ellis was a force a few plays as he showed off great athleticism and explosion up to the basket and over defenders. He also displayed good three-point shooting and showed there are some nice pieces to his game with solid handles and the ability to find open teammates through tight windows. Flores continues to progress every time he plays. 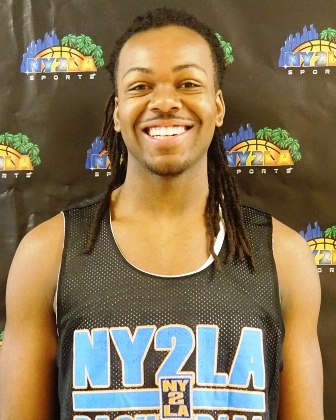 His athleticism has greatly improved and he has a very good control to his game that he played with at Futures. 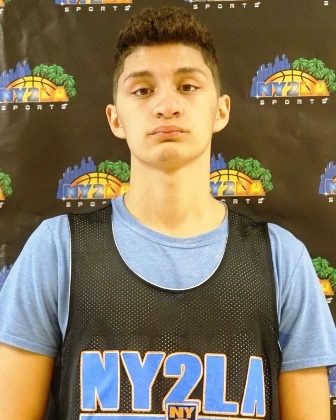 Flores does a nice job offensively of creating space with his body when he attacks, he is active on the glass for a guard because of his energy and improved leaping ability and he showed he can knock down shots from the outside without hesitation. An explosive athlete with bounce and quickness, Gary handles the ball well and he has the ability to break down opposing guards to create or score. Still refining his perimeter stroke, Gary showed an ability to knock down the jumper and create positive chaos with his dribble penetration on the offensive end where he showed vision and potential as a playmaker. Defensively he has the athleticism and quickness to become a stellar on the ball magnet as well. He posted a 40” approach vertical in the combine session and the young guard impressed at times with his game play. One to keep an eye on as he has a lot of physical tools in terms of his quickness and explosion that are impressive. Gentry did a really nice job all day of playing within himself and not trying to do too much. He showed off good control with his handles as well as control with his body when he was on the attack. With a stronger upper body, Gentry was able to take contact going to the hole and play through it for the finish a few times, but also proved he can knock down shots away from the hoop with relative consistency. 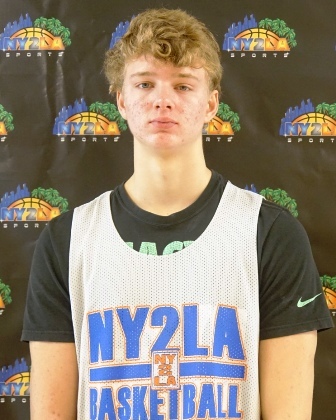 A solid young interior prospect with a decent ceiling, Halback competed on both ends and showed an ability to collect rebounds and finish around the basket. He ran the floor hard, showed solid instincts, and was active on the defensive end making for an intriguing and still developing talent. Still raw in some areas, Halback’s best years lie ahead and the next 12 months could see him really take some nice steps forward. 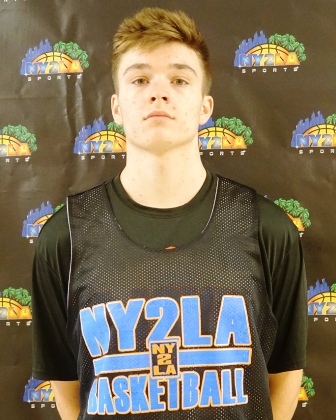 A solid skilled wing with decent athleticism and the ability to score at each level, Hoambrecker made some nice decisions with the ball, showed range on his jumper, finished in transition, and he was solid with his activity on both ends. A nice sleeper to keep tabs on moving forward. Hodge had a really nice camp and played tough against some high level guards, holding his own and then some in each game. Hodge was outstanding from the perimeter as he knocked down several shots from the three-point line and was really good getting penetration on offense and attacking the rim off the bounce. Jass was perhaps ‘Mr. Energy’ at the camp on Saturday as his motor seemed to never stop going which helped him harass opponents defensively and then get his team the advantage on the break offensively. Jass did a nice job pushing the ball up the court with control and sharing the rock or finishing going to the rim. Jass showed he can hit some shots as well and with his quickness and explosion can really get by opposing defenders with regularity. With his height and athletic ability, Joens really impacted the games Saturday with his presence in the middle and playing with awareness defensively. He blocked a couple shots and was really active rebounding the basketball, but did find some spots offensively to get a couple looks and made the most of them. Kizer was one of those players always in the right place seemingly. He was constantly around the boards getting rebounds or tipping it out to keep the play alive, and other times he was crafty finding gaps in the defense where his guards could feed him the ball, and he did a nice job of finishing when he got the ball around the hoop. The off-guard out of Indiana did a nice job picking his spots at the Futures Camp and showing a good perimeter stroke. His speed and quickness were evident in transition, on defense and when attacking lanes. He did a nice job finding teammates with his passes as well and showed a good feel for the game. Morris held his own inside and away from the hoop at the Futures Camp, showing he has some good upside as he rounds out his overall game. 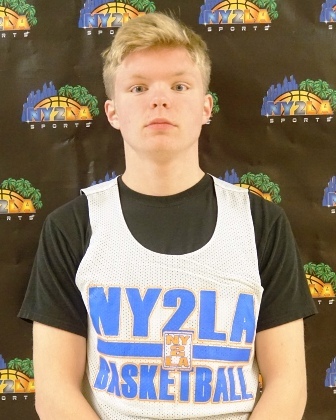 He showcased that he has a good shot which he can extend outside the three-point line, he is all over the boards with good activity and plays hard at all times. He has good size and a good frame and should be able to add some more strength around the hoop soon. Muhammad had his scoring skills working in a fine fashion in Illinois this past weekend as he put the ball through the hoop from all over. He was sinking shots from the mid-range area, knocked down a couple three-balls and was finishing off the bounce at the rim. He had good handles and was smooth driving to the hoop. Onyeali was really good when he was on the attack and he did that with regularity on Saturday, finding his way to the basket and fighting through traffic to finish. He had good energy and hustle and played strong on the break as well. A solid guard with instincts and feel, Smith made sound decisions with the basketball, showed solid playmaking ability, and he finished at each level throughout the day. 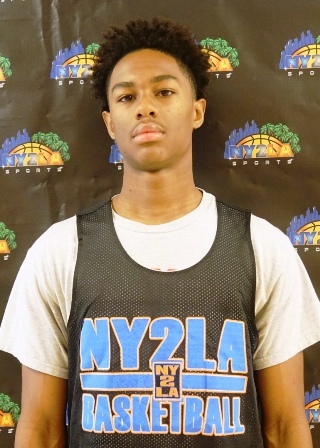 He has some nice feel defensively and looks and feels the part of a Division 1 prospect in terms of his floor game and ability to contribute and lead a team. One to watch closely in the coming months. A solid skilled developing forward with instincts, solid physical tools, and a nice skill set who can fill the box score. He showed an ability to finish at each level, a decent perimeter stroke, solid instincts on the glass, etc. Still raw physically and skill wise, Strohmeier was impressive in terms of his production and effort as well as his potential. Far from a finished product, he opened some eyes with a solid effort at the Futures Camp. Another of the many sleepers in attendance, Weise has nice size and solid physical tools for a wing and his skill is solid in the same sense. He can score at each level, has the ability to collect rebounds and take advantage of smaller wings in matchup situations, and he brings nice activity and effort to the hardwood. Equipped with size, length, and feel, Weiss is a prospect who has a nice ceiling and is just scratching the surface of his potential. 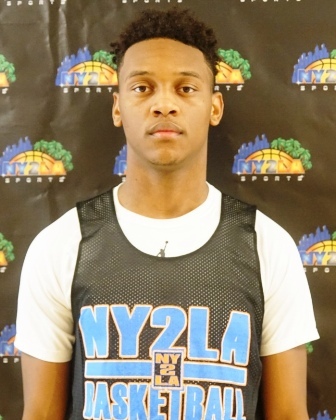 A quick, skilled, and instinctive young guard with potential, Wright played hard and his activity combined with his desire made for an impressive showing at the Futures Camp. He can attack and breakdown defenses off the dribble and his ability to get to the cup helps him create or score in any given situation. Mix in a decent jumper, solid defensive skills, and the willingness to compete on both ends and Wright is an intriguing undersized lead guard with potential who is only getting better.